OUR PURPOSE: "FIND YOUR INSPIRATION"
We recognize the power of expression and the human desire to be inspired. These characteristics are found in both our employees and our customers. Peace, Love & Decorating has become our channel of sharing what excites us and what we find impactful. We hope to express the inspiration we discover everyday and help fill the need for creative discovery. From friends to founders! Our fearless leaders, Jana Contardi and Jennifer Cook started out as friendly neighbors with a shared interest and profession in interior design. As their friendship and professional relationship grew, they decided to open up a business that allowed them to express their styles and their impeccable taste with others who wanted to liven up their home and transform their lifestyles. As interior designers, the two found a passion in helping others discover their own styles and expressions, a passion they have instilled in both the company and its employees! With Peace, Love & Decorating we have a way to share the decorative items that we love in a way that allows our customers to discover new products, browse through design tips and trends and ultimately find inspiration within our site and within themselves. It all started with a little company called Peace, Love & Decorating, a small e-commerce boutique shop, cozied up in…well, Jennifer’s basement. It wasn’t long though before that basement was outgrown, and our flagship store was created in downtown Duluth, GA. Once we were settled into the store, it was decided to include Christopher Radko ornaments to our catalog as a new and collectable twist to the company’s inventory. These ornaments grew to such a high demand that the decision was made to separate them to their own website with the name Christopher Radko Gallery. A year or so later, the fashion line at PLD found itself in the same wonderful problem where it too needed to become a separate identity, and what better name for a sister store than My Royal Sister? These three webstores continue to grow and thrive with the same initial vigor and values they began with. Jana and Jennifer recognized where the direction of retail was going and decided to get ahead of the game. By having an online storefront, we are able to reach a much wider target audience and share our products with consumers across the country. All the coding for our websites is created in-house under the leadership and direction of our founders. This allows us to keep our personality intact and make quick corrections if necessary. At Peace, Love & Decorating, we don’t just sell any old objects. We are dedicated to building intimate and trusting relationships with reputable brands that share both our sense of style and our values. Many of our brands are designed and crafted within the United States. We believe in business supporting each other, and are happy to carry products that are made close to home. Both Jana and Jennifer are long-time residents of Atlanta, and early on they made a commitment to give back to the Atlanta community. They chose to focus their resources on Safe House Outreach, an organization dedicated to "affecting real change in the lives of those living the margins of society through a hand-up, not a hand-out". In addition to volunteering their personal time, and assisting with organization projects like remodeling the activities space, the company is a sponsor for SHO's major fundraising events. Our company also recognizes its role in job creation and has more than tripled our full-time team in the past year. Because of the support they received early in their careers, Jana and Jennifer have found young talent from major institutions including Savannah College of Art and Design (SCAD), the University of Georgia, and Georgia State University to help build our company and create a diverse community of talent. You can probably tell. We like to have good time here at PLD. Each of our employees is a valuable member to our little community here, bringing his or her own style and spark to the table. We love our group, and we are proud to be a part of such a close knit company full of big ideas, playful grins, and a passion for what we do. 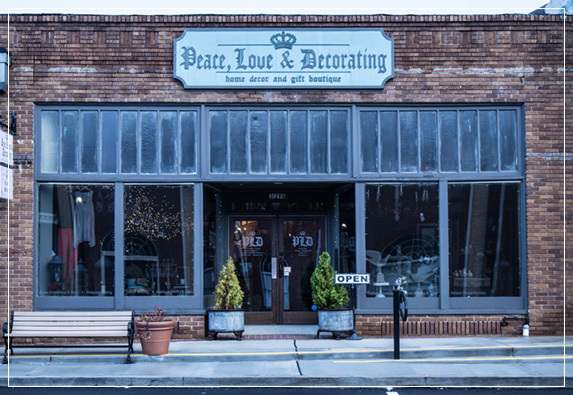 Come visit our brick and mortar showroom off of Main Street in historic downtown Duluth, GA – just 30 minutes north of the exciting city of Atlanta! Loyalty : We are as dedicated to our people as they are to us, and aim to go above and beyond to treat every customer and employee with the respect and attention they deserve. Look : We don’t just buy what’s popular. We like to buy the things that we love and share the awesomeness with everyone else. 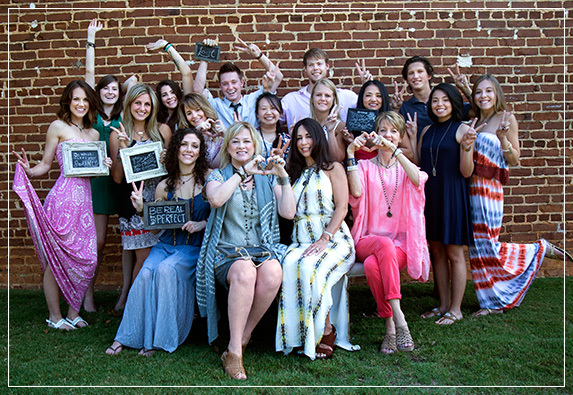 Passion : We are passionate about our products, our company, and about each other. Our passion is what drives our message and helps us find inspiration and innovation within our company. Human : We strive to make both our customers and employees feel at home with us. We understand that everyone is human and deserves to be treated like one. Educate : We aim to give customers and employees a foundation to build their own style and talents from. Our dedicated staff is consistently searching for new insights into design and style to share with each other and everyone else.